While the word “chakra” has Hindu (Sanskrit) roots, the energy involved is not partial to any particular religion. It is a universal energy, and all people inhabiting physical bodies on this earth have them. These energy vortexes are the channels through which spiritual energy flows through to manifest in the physical. (Matter is merely slowed down or crystallized energy, hence, our bodies are energy!) The chakras and other smaller energy vortexes (such as acupuncture points) are openings and channels for universal energy to flow into and out of the aura. Through chakra meditation and learning and experience with the energetic nature of the universe, we can awaken our conscious minds to our true spiritual natures. The following is a general summary of my current understanding of the physical locations and elements associated with each chakra. 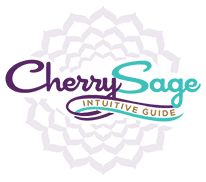 Over the years I have noticed some discrepancies between how different people “define” each chakra, (particularly the second and third chakras), but the differences have only been minor. Certainly the colors and locations of the chakras are generally consistent. The base chakra extends down and the crown chakra extends up, while the chakras in between have vortexes both to the front of the body and to the back. *The first chakra is located at the base of the spine and is associated with red. It is the chakra that governs our physical existence, our bodies and our health. *The second chakra is located in the area of the womb or spleen, and is associated with the color orange. This chakra governs creativity, and some say emotion. (I associate emotion with the third and fourth chakras). *The third chakra is located at the solar plexus and is associated with the color gold (yellow). It is associated with the will or desire. *The fourth chakra (the middle chakra in the chain of seven) is the heart chakra and is associated with the color green, and also the color rose, which is the “color of love.” This chakra is connected with emotion and human love. *The fifth chakra is located at the throat and is a bright blue. It governs communication and personal magnetism. It is the chakra that most influences intercommunication and our “personas.” It is also the link between emotion and thought. *The sixth chakra is located at the third eye (mid-forehead) and is indigo (deep purply/blue). This chakra is associated with thought (though some say the third chakra governs thought) and with vision, particularly psychic vision. It is also the chakra of spiritual love and connection. I use this type of meditation whenever I need to “recharge” and when beginning astral projection practice and sometimes when beginning psychic readings. More commonly I used a grounding meditation when performing readings. Both are effective and powerful. Lie or sit in a relaxed and comfortable position, as you would for any meditation. Your spine should be straight and your head in alignment with your body. This meditation is in script mode, should one want to tape it and listen to it while performing the meditation. It is preferable to learn about energy and the methods of balancing, cleansing and charging the chakras and allow one’s own inner voice to lead the meditation. The following is just one way of performing this balancing. Allow your meditations to evolve and to reflect your individual values and beliefs. If taped, a slow, deliberate pace should be used with a mild voice and the appropriate pauses. The body should already be relaxed and the mind tranquil when beginning this meditation. Eyes are closed. Follow the breath as it flows toward your nostrils, as it enters your nose, as it fills your lungs and then as it is expelled. That’s it, just relax into this quiet moment. Breathe in…follow your breath…and out. Feel where your body meets the (chair/bed/floor). Become aware of your body from head to toe, of your weight, of the heaviness of your limbs. Now focus on the area at the base of the spine, the area between your legs. This is the root chakra. Its energy is red, and it governs your physical body, your physical health and vitality. In your mind, study the appearance of this chakra; note its color and vitality. Mentally envision the chakra and note any symbolic symptoms of dis-ease. Have you been caring well for your body? If your chakra is dusty, dirty, torn, or otherwise less than a perfectly brilliant red whirling vortex, imagine your hands (or those of a guide) working on the chakra. If it is dirty, clean away the dirt and throw it into an imaginary pail with a lid. Allow those hands to repair any imperfections, and when the chakra is clean, mentally take the pail and hurl it into the sun. Watch it as it travels through space and then bursts into a zillion bits of energy upon solar contact. Allow the sun to recycle this energy back into the universe. Now turn your attention back to the root chakra. It is clean and red. You are surrounded by infinite root energy. Imagine the room glowing red with this energy, feel its strength and power. See red swirls of energy flowing to your root chakra. You can feel this as a tingling as the energy fills your root chakra. As the energy swirls in, your chakra grows large and deep red and strong. Allow the energy to fill your chakra until it is so vital that it extends several feet out from your body. In your mind you can see your root chakra, a brilliant red swirling vortex of physical energy. Now turn your focus up to your abdomen, to the area of the “womb” or spleen. This is the orange chakra, that which controls clear thinking and creativity. Take a moment to observe the chakra. Note its color, its vitality. Is it clean and strong? Or is there work to be done here? Allow those invisible hands to cleanse the chakra, to repair or heal it. Discard any imperfections in the pail, and send the pail to the sun to recycle the energy. Focus on the orange chakra again. It is now clean and whole, and a bright orange. Call out to the universe for orange creative energy and feel the space around you begin to glow orange. With a tingle you feel the energy begin to swirl into your chakra, charging it with vitality, with creativity, with clear-thought. Watch as your orange chakra grows and whirls, until it extends out from your body for several feet, just as the red root chakra is still whirling and strong. Turn from the red chakra, up through the orange chakra, to the solar plexus. This is the heart of the yellow chakra, that which governs will and ambition. Take a few moments to examine this chakra. Note its color and appearance. Have you been lazy of late, or perhaps too driven? Examine your will through this chakra. Allow the invisible hands to cleanse the chakra and heal it, discarding any imperfections or impurities in the pail. Send the pail to the sun for recycling. Turn your attention to the middle of your chest, to the heart chakra, the green chakra. You may feel an instant wave of emotion. This chakra governs your feelings, your emotional connections to others and to the universe, to life itself. Examine this chakra. Note its color, vitality, any impurities. Gently allow those invisible hands to cleanse and purify the chakra. Reflect a moment on how you’ve been feeling emotionally lately. Are there bindings holding in pain? Or is the chakra tight and hard with anger? Release any tensions, imperfections or impurities to the pail. Send them to the sun for recycling. They are still yours if you choose to hold them, but for now, release any pain or anger. Now focus back on the heart chakra. It is clean and a beautiful green color. It whirls strongly and evenly. ‘Universe, send me green energy for my heart! Open my heart to the world, to all beings big and small, with compassion for our shared experiences and journey. Fill my heart with love energy, that I may in turn give love to others.’ Feel the green energy whirling into your heart. Watch the chakra grow and glow and spin with this new energy. From the red chakra through the orange chakra through the yellow chakra through the green chakra, your chakras are cleansed and charged and huge with energy. Focus on the throat, center of the blue chakra which governs communication and personal magnetism. Examine the chakra, noting the color and any imperfections. Perhaps you haven’t been honoring your own beliefs and speaking out when you should. Or perhaps you’ve been talking over others, or not listening well. Perhaps you’ve been feeling shy and afraid to extend your energy in communication. Allow the hands to heal and cleanse the chakra and when finished, send the impurities to the sun for recycling. Now the chakra is clean and strong and bright blue. Feel the air fill with blue universal energy. Feel the throat open as this energy swirls into the throat chakra. This energy charges your aura with magnetism, drawing others to you. Feel your throat open with this swirling, strong blue energy. Focus on the middle of your forehead, the third eye. This chakra is indigo and governs psychic vision and intuition. Examine the chakra for imperfections. Perhaps it is locked up due to fear. Perhaps it no longer spins out of neglect/stagnation. Allow the hands to cleanse the chakra, to heal any imperfections and recycle them in the sun. Now look at the chakra. It is a beautiful deep indigo, clean and whirling. There is psychic energy available to you beyond measure. Feel it charge the air, swirl in and around and fill your third eye chakra with deep, vital indigo energy. Feel the third eye open, and note any mental visions as this occurs. Now is a good time to pray for increased psychic power. Note the red/root chakra, the orange/womb chakra, bright, strong, big! Move your attention up to the yellow/solar plexus chakra, to the green/heart chakra, open and brilliant, to the blue/throat chakra and the indigo/third eye chakra. Your chakras are huge, whirling, and fully charged. Now focus your attention at the crown of your head. This chakra is violet near the body, fading to white further away. 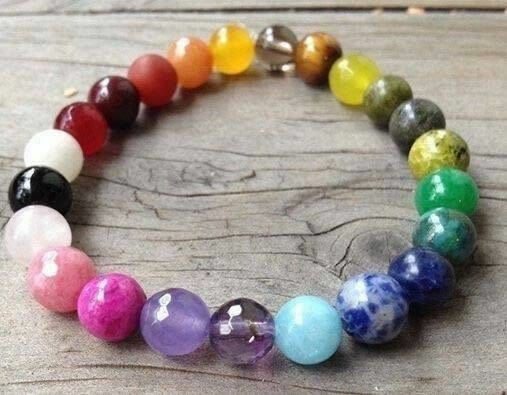 This chakra governs your connection to the universe/God/Goddess/The Creator, etc… This chakra is like an umbilical cord to “home.” Reflect on your spirituality of late, examine the chakra and allow any healing needed. In my experience this chakra generally needs much less work than the others. Allow the hands to heal, to cleanse, and recycle the discarded energy in the sun. Now examine the chakra. It is brilliantly violet, glowing white around the outside. Mentally reach out to that which you consider your “source…” to “God” or the Universe. Feel the response, the energy flowing back to you. Pray for the peace and joy of a strong crown chakra connection. Feel the violet energy flowing in, a loving embrace of your whole self, of your soul. See the crown chakra grow enormous, and the white energy surround your body. All your chakras are now clean, charged and in balance. From the red/root chakra, to the orange/womb chakra, to the yellow/solar plexus chakra, to the green/heart chakra, to the blue/throat chakra, to the deep purple/third eye to the violet/crown, your chakras are spinning and whirling, full of energy and vitality. See the white energy that extends up and out from the crown chakra enveloping your whole body in an egg of white energy. You are completely refreshed, calm, and peaceful. Your energy is balanced. You are full of vitality. 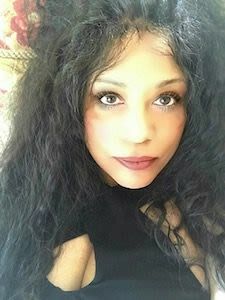 Julia Jablonski is an ordained Spiritualist minister, medium and clairvoyant. Please Visit Julia’s website here: http://www.muse-net.com/.